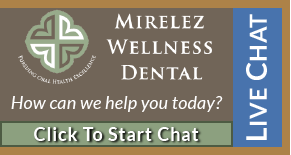 At Mirelez Wellness Dental we have your care in mind. It is our goal that each patient who comes through our doors deserves the high quality dental care that we strive to provide with each and every visit. We believe in providing holistic dentistry because it focuses not just on your oral health, but how your oral health interacts with your overall wellness. By having good oral health you can improve how you feel and live a happier, healthier life. Our compassionate team offers a wide range of different services all from the comfort of the relaxing environment of our beautiful Fresno office. Holistic dentistry looks at dental health from an overall health perspective. By using holistic dentistry often we can ensure better results, with the big picture in mind. Cosmetic dentistry focuses on helping patients receive the perfect smiles they desire. Our cosmetic dentistry services include teeth whitening, Botox, ClearCorrect, porcelain veneers and more. Dental implants are an exciting dental technology that allow us to permanently replace missing teeth. Our dental implants are made of a special alloy, and allows us a place to restore a dental crown, or other dental device. Sedation dentistry helps patients who struggle with nervousness or anxiety to receive the dental care that they need. We offer a few types of sedation dentistry including laughing gas and oral conscious sedation. Our dental technology keeps up-to-date with dental advancements. We use high-quality and cutting-edge tools and equipment to treat your teeth and craft implants. Our technology allows us to provide accurate diagnoses and precise treatments. We are excited to be able to offer all of these types of services, and even more to the wonderful people of Fresno and beyond. Have any questions about these services, or the services we provide at Mirelez Wellness Dental near Clovis and Madera? Contact us today! Click here to learn about our VIP Membership Savings Plan!